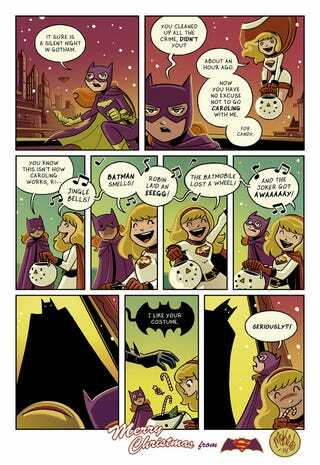 It's time for the annual Batgirl/Supergirl Christmas comic by Mike Maihack. These comics are always adorable, and this time is no exception. And there's a surprise cameo! You can check out the rest of the Batgirl/Supergirl series here, and you should also take the time to check out the rest of his work including the excellent series, Cleopatra in Space, which is about have its second book released.